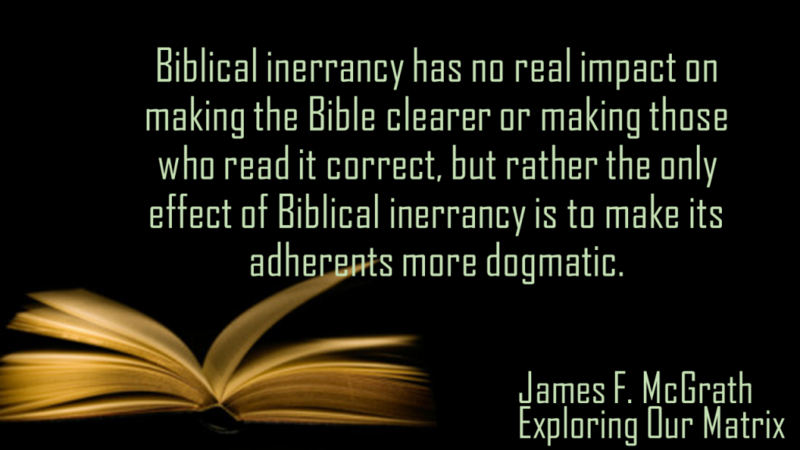 For most Christians the issue of biblical inerrancy is just a give-in. Of course the Bible is free of error, that’s how we know it’s from God…… or is it? In order to understand biblical inerrancy we must examine two things, 1) the theology of biblical inerrancy and 2) whether or not the bible has errors. The first is important because most people tend to “prove” the Bible is inerrant by referencing theology from within the Bible itself, but that is circular reasoning. The second is important because it’s literally the only way to settle the matter. If one is to claim something is without error then they must also examine something for errors. Much like buying a diamond, if I want to find a flawless rock then I have to examine the diamond for imperfections, not just take the word of the salesman. The basic argument for biblical inerrancy comes from 1978 in the Chicago Statement on Biblical Inerrancy, which states that the Bible, “is without error or fault in all its teaching“; and that “Scripture in the original manuscripts does not affirm anything that is contrary to fact.” The 70’s saw a period where the Bible was coming under frequent attacks by science and history. In October of 1978 over 200 church leaders convened in Chicago to write a formal statement for evangelicals to lean on as a standard, in hopes that they could stop the onslaught of liberal theology. Eventually some seminaries adopted this stance. The most well known was Princeton Seminary. Additionally, Fuller Seminary joined the inerrancy ranks. However, they leaned towards infallibility rather than inerrancy. The difference is that infallibility usually refers to the teachings of the Bible while inerrancy often refers to anything in the Bible, even non-theological items. However, there is a sub-group in inerrantists who claim that only the original manuscripts were perfect and what we now have contains slight errors. Modern proponents of this theory original inerrancy find very little separation from over-all inerrancy. Wayne Grudem is best known for his text book, “Systematic Theology.” A staple in most Reformed seminaries and Bible colleges all over. Grudem along with the Calvinist and Reformed denominations have created a strong backing for biblical inerrancy. This has also been buttressed by the ever-growing baptist denominations. The theological view is summed up in the following paragraphs. The Bible claims itself to be inspired by God. “All Scripture is God-breathed and is useful for teaching, rebuking, correcting, and training in righteousness” (2 Timothy 3:16). Because God is perfect, the Bible must also be perfect and, hence, free from error. God cannot lie and that the Bible is the Word of God. “And the words of the Lord are flawless, like silver refined in a furnace of clay, purified seven times” (Psalm 12:6). “The law of the Lord is perfect” (Psalm 19:7). “Every word of God is pure” (Proverbs 30:5). Jesus said that God’s word would not pass away. “one jot or one tittle will by no means pass away from the law till all is fulfilled” (Mat. 5:18). Thus, the words of God must still be with us and God’s words are perfect. Some will at a 4th point to this line of reasoning by claiming that the Bible has to be perfect because then it can’t be trusted at all, which was also part of the Chicago statement on Biblical Inerrancy. Biblical inerrancy is not just a new phenomenon. Many great theologians in history have esteemed this doctrine. Here are just a few in history that have promoted biblical inerrancy. Biblical inerrancy has been a mainstay in the Christian faith since people could first lay their hands on pages of the Bible and read it. However, one must not just theories to prove the Bible to be free of error but actual facts. Those are presented below. The reason why we must examine the Bible for errors is so that the inerrancy claim can be tested. In the fields of science all claims must be provable. If the Bible is with our error then naturally we should be able to read it and find that it is indeed without error. Just building a theological statement about the Bible is not proof, it’s a theory. In the following section is a list of what many consider to be biblical errors. Who made David number the Israelites? 2 Samuel 24:1 And again the anger of the LORD was kindled against Israel, and he (the Lord) moved David against them to say, Go, number Israel and Judah. 1 Kings 15:33 In the third year of Asa king of Judah, Baasha the son of Ahijah, began to reign over all Israel in Tirzah, for twenty and four years (24). 2 Chronicles 16:1 In the six and thirtieth (36) year of the reign of Asa, Baasha king of Israel, came up against Judah, and built Ramah, to the intent that he might let none go out or come in to Asa king of Judah. The numbering here is the issue. If Baasha became king of Israel in the 3rd year of Asa’s reign and reigned for 24 years, then Asa would be in his 27th year. But Chronicles says that Baasha was waging war in the 36th year of Asa’s reign. This is a problem because it assumes Baasha reigned longer than 24 years. 2 Samuel 24:13 So Gad came to David and told him, and said to him, “Shall seven years of famine come to you in your land? Or will you flee three months before your foes while they pursue you? Or shall there be three days’ pestilence in your land? How old was Jehoiachin when he took the throne? 2 Kings 24:8 Jehoiachin was eighteen years old when he became king, and he reigned three months in Jerusalem; and his mother’s name was Nehushta the daughter of Elnathan of Jerusalem. 2 Chronicles 36:9 Jehoiachin was eight years old when he became king, and he reigned three months and ten days in Jerusalem, and he did evil in the sight of the Lord. 2 Samuel 8:4 David captured from him 1,700 horsemen and 20,000 foot soldiers; and David hamstrung the chariot horses, but reserved enough of them for 100 chariots. 1 Chronicles 18:4 David took from him 1,000 chariots and 7,000 horsemen and 20,000 foot soldiers, and David hamstrung all the chariot horses, but reserved enough of them for 100 chariots. How many men where there? 2 Samuel 24:9 And Joab gave the number of the registration of the people to the king; and there were in Israel 800,000 valiant men who drew the sword, and the men of Judah were 500,00 men. 1 Chronicles 21:5 Joab gave the number of the census of all the people to David. And all Israel were 1,100,000 men who drew the sword; and Judah was 470,000 men who drew the sword. 2 Samuel 10:18 But the Arameans fled before Israel, and David killed 700 charioteers of the Arameans and 40,000 horsemen and struck down Shobach the commander of their army, and he died there. 1 Chronicles 19:18 The Arameans fled before Israel, and David killed of the Arameans 7,000 charioteers and 40,000 foot soldiers, and put to death Shophach the commander of the army. John 3:13 No one has ascended into heaven, but He who descended from heaven: the Son of Man. 2 Kings 2:11 As they were going along and talking, behold, there appeared a chariot of fire and horses of fire which separated the two of them. And Elijah went up by a whirlwind to heaven. Hebrews 11:5 By faith Enoch was taken up so that he would not see death; and he was not found because God took him up; for he obtained the witness that before his being taken up he was pleasing to God. 1 Samuel 17:50 Thus David prevailed over the Philistine with a sling and a stone, and he struck the Philistine and killed him; but there was no sword in David’s hand. 2 Samuel 21:19 There was war with the Philistines again at Gob, and Elhanan the son of Jaare-oregim the Bethlehemite killed Goliath the Gittite, the shaft of whose spear was like a weaver’s beam. There are a number of other contradictions that are in the Bible but the list will get too long. While we tend to assume that Old Testament quotes that arise in the New Testament were quoted verbatim, we forget that the OT in Jesus’ day was in Greek, not it’s original Hebrew. The Hebrew texts were preserved, however, as well as Syrian and Aramaic translations of the Hebrew. So when NT authors quote the OT they almost always quote from the Greek OT called the Septuagint. It was translated about 200 years before Jesus’ ministry started as was the dominant OT text unless a Synagogue had Hebrew readers available and Hebrew scrolls. Why does any of this matter? It matters because we see that there are mistakes in the Hebrew-to-Greek translation. Some of them are from translation problems and some are because only certain manuscripts were available to the Septuagint translators. Below is a brief list of such examples. It appears that Jesus (or the author of Luke) gets the “recovery of sight to the blind” line from the Septuagint, but it is not in the standard Hebrew manuscripts we have today. Hebrews 8:9 It will not be like the covenant I made with their ancestors when I took them by the hand to lead them out of Egypt, because they did not remain faithful to my covenant, and I turned away from them, declares the Lord. Jeremiah 31:32 It will not be like the covenant I made with their ancestors when I took them by the hand to lead them out of Egypt, because they broke my covenant, though I was a husband to them,” declares the Lord. Acts 7:14 After this, Joseph sent for his father Jacob and his whole family, seventy-five in all. Genesis 46:27 With the two sons who had been born to Joseph in Egypt, the members of Jacob’s family, which went to Egypt, were seventy in all. Since these occurrences are so often I will not list many of them. A simple scan of the NT locations where OT verses are cited will turn up dozens of quotes that do not match the actual OT text. Some might readily point out that the Bible seems to refer to the earth as being flat because of the many mentions of it’s pillars and foundations. While that has a lot of merit it can be hard to take poetic passages and turn them into scientific examinations. In the example below you will see a clear example of where the Biblical writer made a mistake about things we know to be true of false today. Some have tried to massage the Hebrew a bit on this mistake to make it appear that the Bible in Hebrew is referring to rabbits chewing something slightly different than cud but this is a weak argument. The key words are “כִּֽי־מַעֲלַ֤ת גֵּרָה֙” which gets translated as “chews the cud.” I will address the translation on both words right now. כִּֽי־מַעֲלַ֤ת is a conjunction of כִּֽי and מַעֲלַ֤ת. The word כִּֽי means “for” or because. It’s the qualifier in the sentence “because it chews it’s cud.” The word מַעֲלַ֤ת is a Hifil participle for of the word עָלָה, which is a verb that means to “go up” or “ascend up.” For those who don’t know Hebrew grammar, a Hifil verb is both causal and active. That means that the subject of the verb is causing the action. A literal rendering of this verb and conjunction would be “for, she (the rabbit) causes (the object) to ascend.” Naturally the previous word גֵּרָה֙ is the object being acted on in the sentence. גֵּרָה֙ is a noun that means “a measure”, “grain”, “round kernel”, or even a “weight.” Later in history it was used to represent fraction of a shekel that was comparable to a measure of grain. Thus, it should come as no surprise that it’s connected to the verb מַעֲלַ֤ת. It’s exclusively found in the Hebrew Bible to refer to cud (unless conjugated differently). Thus, a literal rendering of the whole phrase would be “for, she (the rabbit) causes it’s grain/measure to ascend.” This is a very natural use of the phrase and that is why translators have always rendered is as it’s seen today. This phrase is the same phrase used to describe the other animals in the Bible that chew their own cud. It is clear that the Biblical writer assumed the rabbits incessant chewing to be the same as a cow or any other that chews their cud. The term “Word of God” can refer to Jesus Christ himself as well as to the proclamations of God through the prophets. But the Bible does not used “Word of God” in the same way we think of it today. There is only one instance in the Bible where the phrase “Word of God” refers to something “written”, like the scriptures. The reference is to the 10 commandments. We must not conflate scripture to be equal to God’s words. We consider to Bible to be scripture but being scripture is not equal to God’s word. Scripture in Greek is “graphe” which means writing. 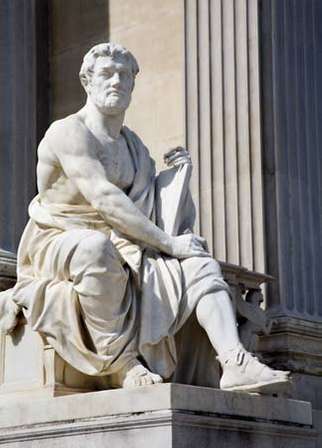 It’s implied in the Greek texts that some writings are sacred and others are not. But there is no implication that scripture and God’s words were synonymous. Yes, scripture contains the Word of God but not all of it are the the words of God. The phrase that occurs more often than “Word of God” is “Word of the Lord.” This phrase is used hundreds of times. It is most notable among the delivery of the prophets. The first occurrence is when God visits Abraham in a vision. We do not hear of the Word of the Lord again until Moses and Aaron are called and during the plagues, in Exodus. Once again it’s referring to the spoken words the God. This trend of using “Word of the Lord” persists throughout the OT but only as a way of referring to God’s actual words delivered by prophets or God’s servants. At times it’s even said that the Spirit came upon someone and they delivered the Word of God. One of the last books in the OT to be written was Ezra and the use of this phrase had not changed. The books that use this phrase the most are Jeremiah and Ezekiel and nearly every time it’s used to note the words that God delivered to Jeremiah. The phrase “Word of the Lord” is used by only one gospel writer; that writer is Luke. Luke single-handedly accounts for all 13 occurrences of this phrase. 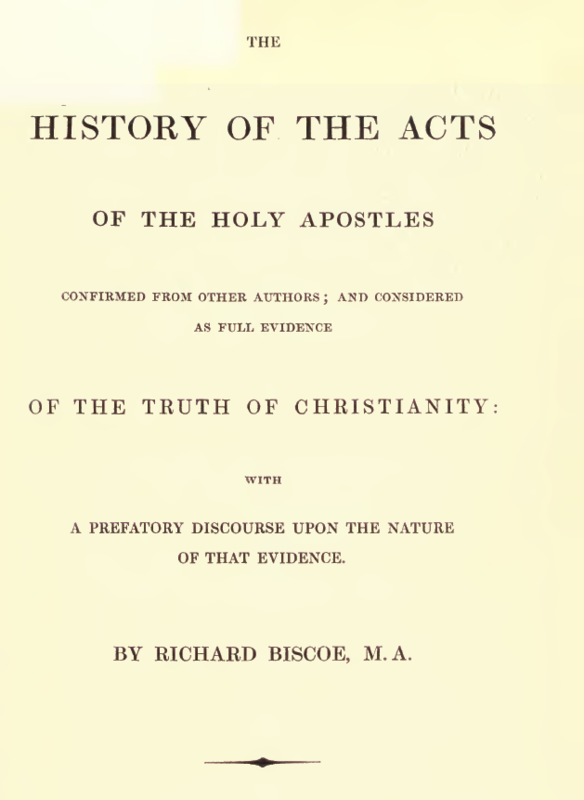 Surprisingly, all uses are in the book of Acts except for one occurrence. In all of Luke’s usage of this phrase it refers to the words of God or Jesus. Not until the later books of the NT were written do we see anything different concerning the function or definition of the “Word of the Lord.” Eventually, both Paul and Peter make a reference that seems to equate the Word of the Lord with the Good Word, or gospel message. But what about the phrase “Word of God”? This is where things get interesting. The OT tends to prefer the phrase “Word of the Lord”, while the NT authors use the phrase “Word of God” much more often. But how is this phrase used in the NT? Surprisingly, the most Jewish gospel writer, Matthew, only uses the phrase once, in reference to how the Pharisees treated the Word of God given by Moses. The only other gospel authors to mention the phrase are John (3 times) and Luke (15 times). In each usage the author is referring only to the words that God has given someone. In John we see that Jesus makes a distinction between the Word of God and the scriptures. The Word of God was given through the Law via Moses and those words are recorded in the scriptures. Just like the Word of God was delivered through prophets, this Word is a spoken word from God. 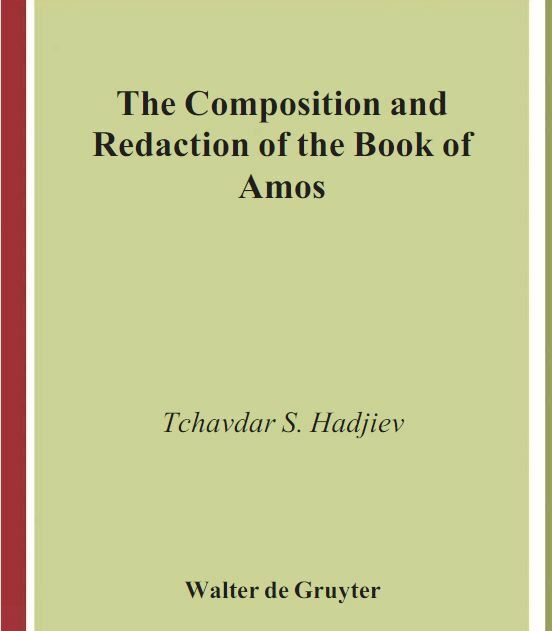 However, in no regard would the historical books of the OT be considered the Word of God unless that passage was indeed a recorded Word from God by a prophet or servant of YHWY. The practice of using “Word of God” to mean the Gospel did not occur until Luke did so in the book of Acts. In acts, Luke records the spreading of the Gospel by means of the Holy Spirit. Often the Gospel message is referred to as the Word of God. But this should be alarming since the Gospel refers to “good news” which is also a spoken word; the word that Jesus is the Christ and that God is redeeming mankind. In that sense, Luke recounts how the NT saints proclaimed the Word of the Lord and spread it from Jerusalem outward. Is Scripture equivalent to the Word of God? It is here that it must be emphasized that there is a reason why many believe the NT or the entire Bible to the “Word of God.” The most common method of making this connection between the scriptures and the Word of God is from 2 Timothy, where Paul encourages Timothy. The key to this passage is the phrase God-breathed which means from the mouth of God, implying by means of the Holy Spirit. This is nearly the only verse in the Bible that equates the Word of God to scripture. Assuming that Paul believes that scripture and the Word are the same thing one must ask, what is scripture? At the time this passage was written it was clearly referring to the OT Law and Prophets. Some would include Psalms and Proverbs as well. But what about the NT writings? Most would lean on 2 Peter 3:15-16 as the answer to whether or not the NT writings are considered scripture. I say “most” because a lot of scholars believe 2 Peter was written by someone other than Peter. However, there is not enough time for that debate in this topic. This passage references the writings of Paul and indirectly refers to them as scripture. 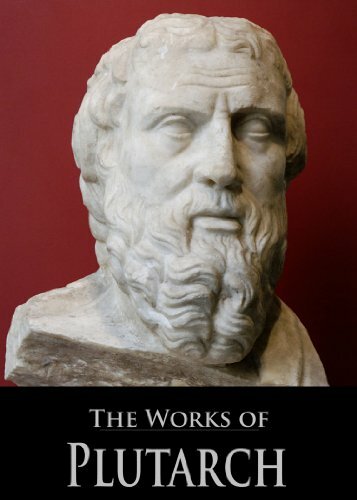 Peter (assuming Peter wrote this) says that those who ignore the wisdom of God through Paul, as they do the “οιπός γραφή”, do so to there own destruction. So what is the meaning of “οιπός γραφή”? 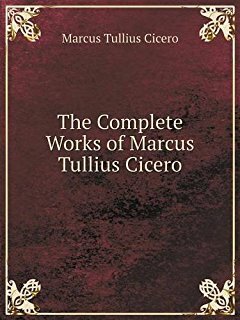 The easiest and most basic translation is “remaining/other writings.” However, the word for writings is the same Greek word that means scripture. We are left only with context to know if a biblical writer is referring to scripture or an ordinary writing. In the case of 2 Peter 3:16 it is clear that it’s referring to scripture since the topic was the wisdom that God gives. Thus, the writings of Paul can be considered scripture by most. But let us be precise here. Peter is referring to the wisdom that God gave Paul for the church, not to anything Paul wrote. Even Paul himself differentiated between how own thoughts and the message that was given to him by God. This practice of knowing what is from God and what is from man is the way in which one is to understand what is the Word of God and what is not. For example, Mark’s narration of Jesus traveling is just a narration. But Mark also contains the actual words that Jesus spoke and those are the Word(s) of God. Why is this distinction so important? Because the actual Word of God should be inerrant and we have to understand that if it’s not inerrant then it’s not from God. But every passage of the Bible is filled with things that are both the Word of God and things that can be considered narration or history. The Bible was not spoken by the mouth of God to the biblical writers. It was written by dozens of people, some of whom heard the Words of God and some who merely recorded history. In some cases it as both. So, when people talk about the Word of God when trying to make a theological point we must remember that that is a specific term, not a generic one. The Bible’s message (God’s words) must be taken as a whole? In view of the previous discussion one has to ask, why do so many insist that the entire Bible has to be inerrant? They do so because they wrongly believe the entire Bible to the Word of God when in fact, that is not really true. It’s an exaggeration of the real meaning of what is and isn’t God’s Word. It should come as no surprise that someone who was taught to believe that the entire Bible is wholly God’s Word, that they would be surprised or even offended at the suggestion that it could contain errors. As noted earlier, much of the Bible is just historical recordings. This is highlighted by the fact that the majority of errors in the Bible come from the historical books (Samuel, Kings, Chronicles, etc). Even ancient copyists treated these books differently than the prophetic books or the Law. One example is that every OT book is found in the Dead Sea scrolls…. except one. That missing book is Esther and it’s also the ONLY book that does not contain the name of God (YHWH). Neither God’s name nor the word God (Elohim) are found in the book of Esther. Many recent scholars believe this phenomenon exists because scrolls containing God’s name could not be destroyed, they had to be buried if retired. When Jerusalem and Qumran fled from the Romans it makes sense that the stock piles of scrolls left buried in the caves are only the ones that contained God’s name. Thus, we have to be good historians and remember that it was not until 400 years after Jesus was born that a thing we call the Bible was created. Before then most manuscripts of the Bible contained only one large biblical writing or several small ones. It’s a late thinking model to assume that all the books in the Bible should be treated equally. In fact, even hundreds of years after the Canon was closes church leaders were in bitter dispute over which books should and should not be considered canonical. Not until the reformation do we have a consensus among church leaders that the entire Bible was a whole unit and divinely inerrant. This view was pushed mainly because it seemed to make sense theologically but also because the reformation movement had to create an authority that was higher than the Catholic church. That authority because the Bible. 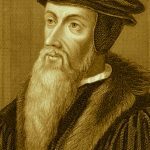 It was the doctrine of the inerrancy of the Bible that could defend the reformers and why they felt the need to remove themselves from the Catholic church. 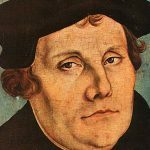 However, Martin Luther and Calvin both acknowledged that the scriptures had clear mistakes. Some scribal and others unknown. For example, in Matthew 27 and Luke 23 Jeremiah is credited with authoring a prophecy that is clearly from Zechariah 11:12-13. Reformers who claimed biblical inerrancy also admitted that some errors where in the Bible. One would naturally have to ask, how did two great reformers justify biblical inerrancy while admitting it’s errors at the exact same time? Perhaps we should consider that biblical inerrancy does not mean that every single word is perfect and free from corruption. There are four conclusions that people are lead to when they are presented with evident biblical errors. The definition of biblical inerrancy needs to be adjusted to reflect the fact that human intervention was involved in the transmission of the scriptures and therefore, mistakes made by those humans are clearly evident. But the original autographs are perfect. The scriptures are flawed by various means. However, since the overall message of the Bible is not altered then it really doesn’t matter. The scriptures are not flawed in any way, we misunderstand what it’s saying. The scriptures are inerrant only in theological matters. In the case of the first conclusion, since we do not have the original autographs it’s impossible to prove if this is true. Chances are that there will never be a way to obtain the original manuscripts so the idea that they are perfect will never be settled. In the case of the second conclusion, this is the path that most educated Christians and pastors choose. Anyone who reads the Bible seriously will notice some of the errors listed above. But whether or not David captured 700 charioteers or 7000, that affects the story zero percent. There is not reason to throw the baby out with the bath water. In the case of the third conclusion, one must adopt a position of ignorance to justify the obvious problems in the texts. Ignoring the problems in the text does not make them go away. And choosing to not address them will just confuse others who genuinely believe that the Bible is perfect in every word, which is often taught. In the case of the fourth conclusion, many scholars and pastors have decided to land on this decision. Mostly because it’s the theology and teachings that are important and that is what they consider inerrant. However, at once the definition of inerrant is used to mean only part of something then possibly the word inerrant isn’t the most appropriate word to describe it. From the beginning, there have always been those who conspire to twist and corrupt the Word of God. Nowhere in the Bible does it say that such a thing is impossible; rather, it is strongly implied that such things are inevitable.